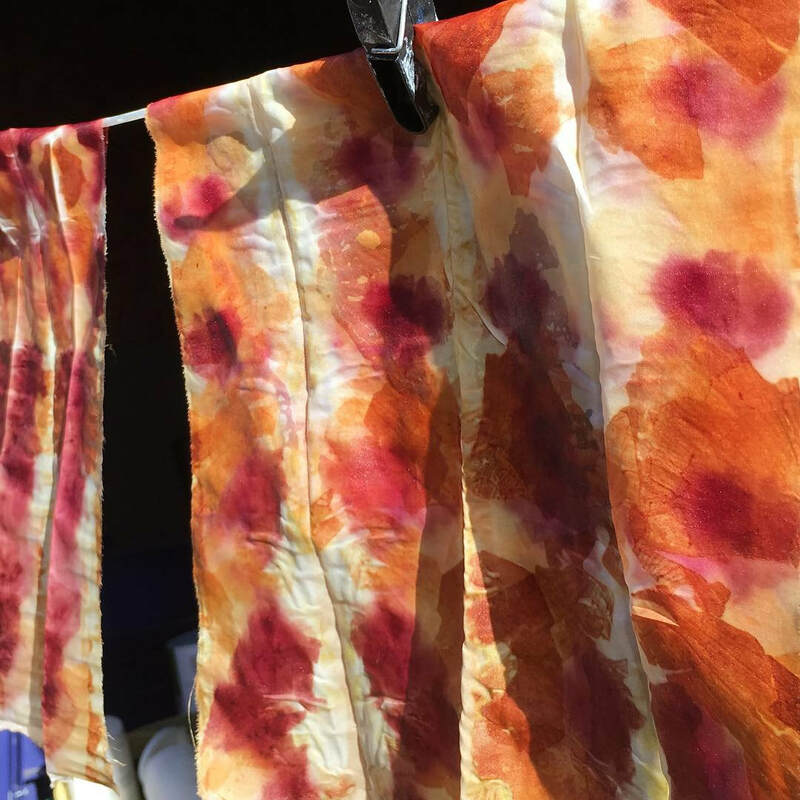 Join Caroline for an in-depth opportunity to explore techniques for capturing natural colours on cloth, combining leaf printing with natural dyes for exciting results. 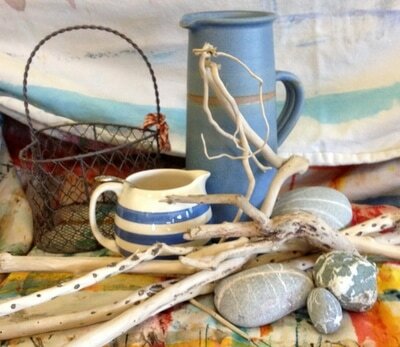 Caroline’s work focuses on sustainability, often using locally sourced, second-hand and upcycled fabrics. 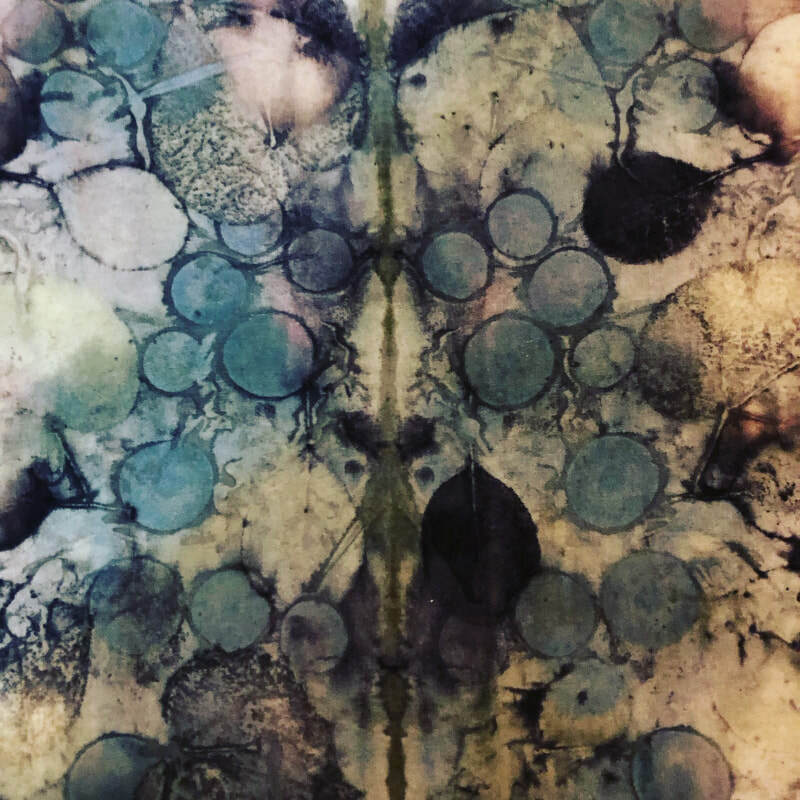 She is inspired by the natural world, and where possible uses natural dyes, mordents and mark making materials. 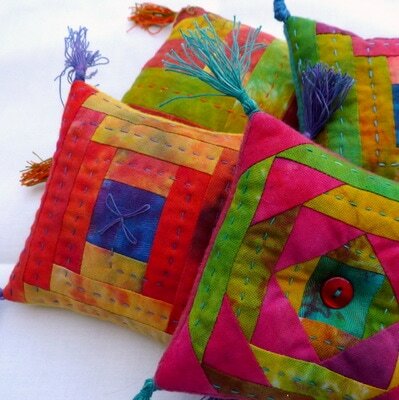 ​ Caroline studied Stitched Textiles at Eastleigh College and is a licentiate member of the Society of Designer Craftsmen. 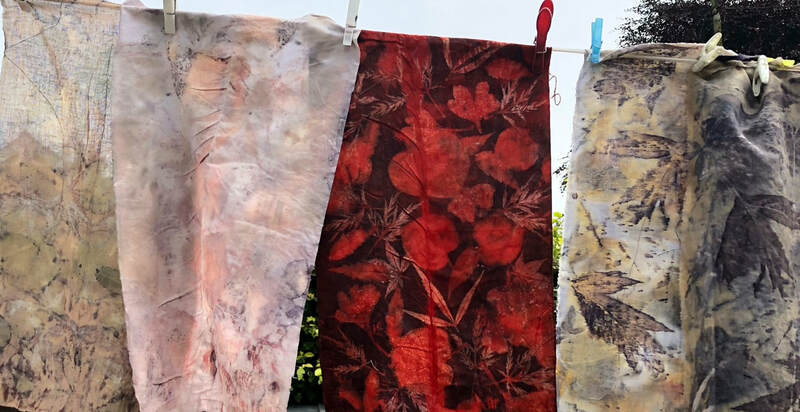 Eco Printing is an endlessly fascinating process where leaves and other plant material are wrapped in fabric then combined with heat and moisture to produce wonderful marks and prints. 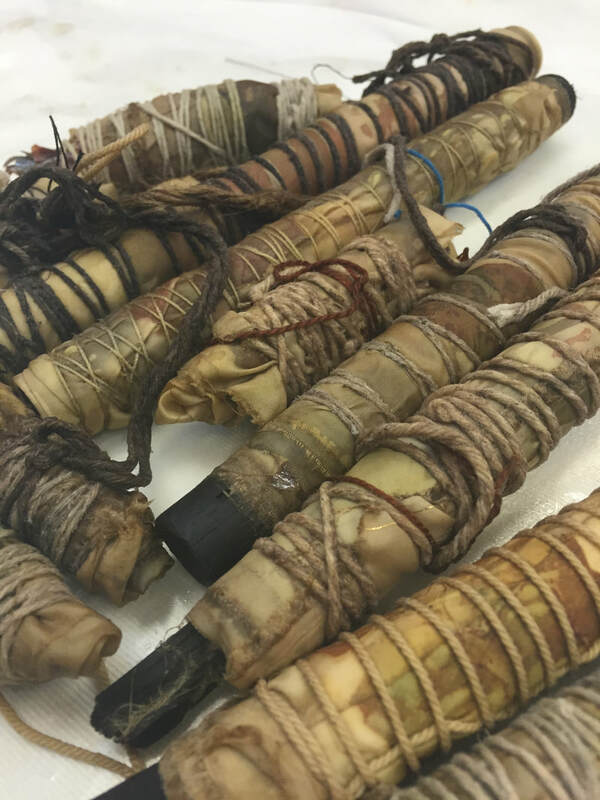 Day 1 will focus on different methods of bundling, the use of mordants and establishing which leaves work best in this environment at this particular time. 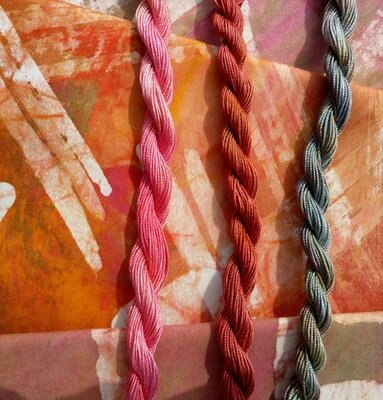 On day 2 we will start to look at more advanced techniques, and begin prepping fabrics and leaves for day 3. 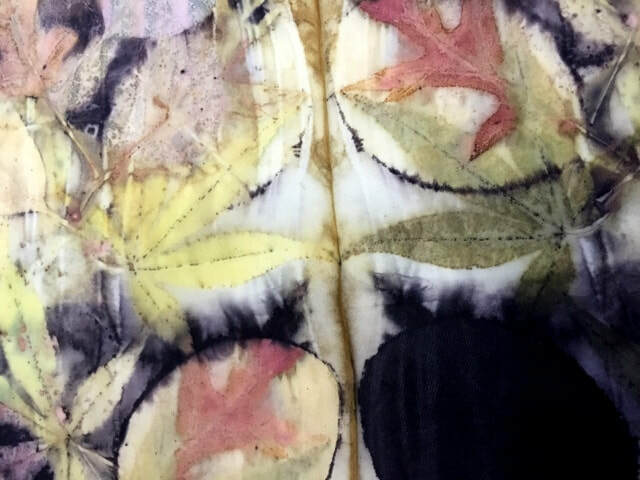 Then on day 3 we will focus on the amazing results that can be achieved when you combine leaf prints with natural dyes. 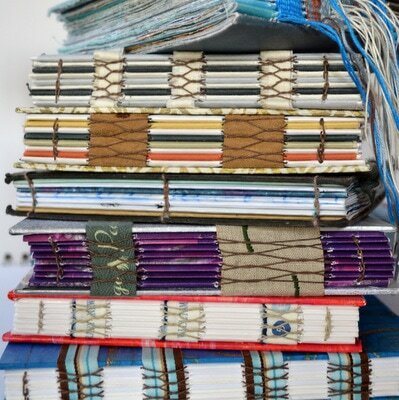 ​You will leave with enough knowledge about a wide variety of processes to continue at home with confidence, plus an exciting pile of fabric samples, larger pieces and matching threads. 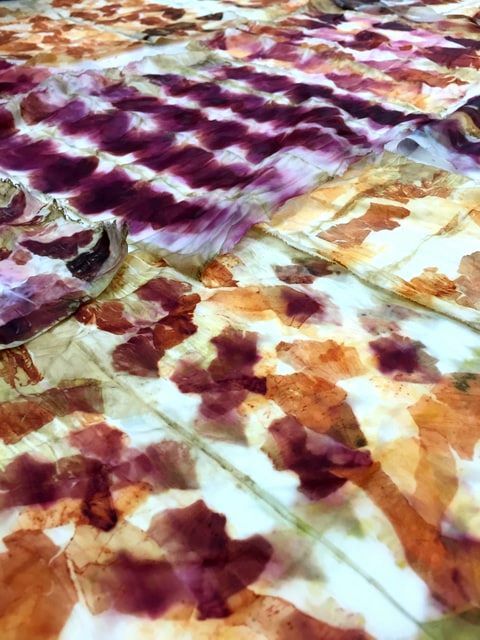 You will also have the opportunity to print a silk scarf using your favourite method from the three days. Scrumptious biscuits with your morning coffee, a light seasonal lunch and a 'naughty, but nice' cake with a pot of afternoon tea. 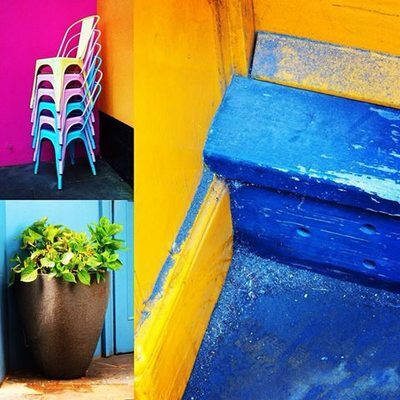 All this and a day being creative in the company of like minded people, what's not to like? Cost: £300, a £100 deposit will secure your place.